"I've always liked drums to be big and powerful. I've never been into using cymbals overmuch. I use them to crash into a solo and out of it, but basically I prefer the actual drum sound. To me drums sound better than cymbals." Bonham played many solos hitting the drums with his bare hands. This was inspired by a jazz drummer Bonham saw doing it. "It wasn't so much what you could play with your hands--you got a lovely little tone out of the drums that you couldn't get with sticks. I thought it would be a good thing to do so I've been doing it ever since. You really get an absolutely true drum sound because there's no wood involved. It hurts your hands at first, but then the skin hardens. I think I can hit a drum harder with my hands than with sticks." 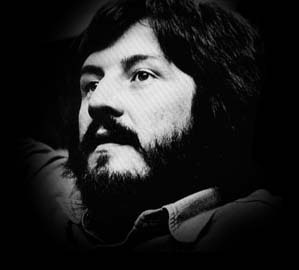 Bonham was very impressed in the mid 1960s by drummer Ginger Baker. "When I first started, Ginger was a big image in Britain. He was a star in his own right. In the old big band era, a drummer was a backing musician and nothing else. In the early American bands, the drummer played almost unnoticed with brushes, always in the background. Gene Krupa was the first big band drummer to be really noticed. He came right out into the front and he played drums much louder than they had ever been played before. And much better. People hadn't taken much notice of drums until Krupa came along. Ginger was responsible for the same sort of thing in rock. Rock music had been around for a few years before Baker, but he was the first to come out with this "new" attitude--that a drummer could be a forward part of a rock band...not something that was stuck in the background and forgotten about. I don't think anyone can ever put Ginger Baker down. Of course, every drummer has his own idea of just when Baker was at his absolute peak...I thought he was just fantastic when he played	with the Graham Bond Organization. It's really a pity that American and Japanese audiences didn't see that band because it really was a fantastic line-up consisting of Jack Bruce, Graham Bond and Ginger Baker. Personally I think Ginger Baker was more into Jazz than rock...he definitely did play with jazz influence. He was always doing things in 5/4 and 3/4 tempos which are associated with jazz. Unfortunately he's always been a very weird sort of bloke. You couldn't really get to know him--he just wouldn't allow it. Ginger's thing as a drummer was that he was always himself. It was pointless for anyone to try to do what he was doing. And Eric Clapton was the same in the guitar field." While Ginger Baker was with Cream, Bonham again joined Robert Plant, this time in the Band of Joy. They backed up American folksinger Tim Rose on his UK tour in 1968. "I think my first real break was backing up Tim Rose." The Tim Rose gig was a failure and returned to the US. The Band of Joy disbanded shortly after. "Robert and I lost contact for two or three months..."
The next time they came in contact was when Plant suggested Bonham as a drummer for Jimmy Page's new band--The New Yardbirds; soon to be renamed Led Zeppelin. Led Zeppelin broke up in 1980, after nearly eleven years, when John Bonham died in his sleep, a result of heavy drinking. "I'd wanted to be a drummer since I was about five years old. I used to play on a bath-salts container with wires on the bottom, and on a round coffee tin with a loose wire attached to it to give a snare drum effect. Plus there were always my mum's pots and pans." "When I was ten, my mum bought me a snare drum. I've always been fascinated by drums--I felt nothing for any other instrument. Later I played a bit of acoustic guitar, but it was always drums, first and foremost. I don't reckon with that jack-of-all-trades thing." Bonham never took a single drum lesson, though as a teen he would knock on the doors of local drummers he saw and ask for advice. "My dad had bought me my first drum kit... It was almost prehistoric--most of the metal had rusted. Later I learned how to properly look after my drums. People who don't care for their drums really annoy me." Started playing with A Way of Life and married Pat Phillips at age 17. "I swore to Pat that I'd give up drumming when we got married. But every night I'd come home and sit down at the drums and play. I'd be miserable if I didn't." The couple lived in a 15 foot trailer. Bonham had to quit smoking to pay the rent. Bonham Robert Plant's band, the Crawling King Snakes. Unfortunately, he lived too far away from Plant to be able to get to rehearsals. The gig didn't last long. Midlands musical contemporary Ed Pilling on Bonham: "Bonham was just great--he was the strongest, loudest drummer I'd ever seen. He was the first local drummer to line his bass drum with aluminum to give it a cannon-like sound. The sound he got was just unreal... John broke his bass drum head during the gig. Band members said that was typical. Actually several other groups told me that certain clubs wouldn't book bands in which John Bonham played drums, because he was too loud." "Well yeah, I was always breaking drum heads when I first started playing. Later on I learned how to play louder but without hitting the drums so hard. It has all to do with the swing of the stick." "When I first started playing, I was interested in music and I was able to read it. But when I moved into playing with groups, I did a silly thing and dropped it. I do think it's great to be able to write down ideas in music form. But I also think that feeling is a lot more important in drumming than mere technique. It's all very well to be playing a triple paradiddle--but who's going to know you're actually doing it? If you pay too much attention to technique, you start to sound like every other drummer does. I think that being original is what counts. When I listen to other drummers, I like to be able to say, 'Oh, that's nice, I haven't heard that before.' I think that being yourself as a drummer is so much better than sounding like anyone else."